Hola Amigas. How are you? The next two weeks challenge over at LNS is Fancy Folds. You will definitely be inspired by all the shares we will have over the next two weeks. My fancy fold is Braided Technique. Pretty Cool, huh? 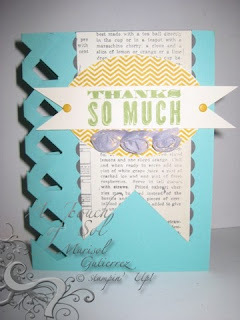 It looks difficult but it is super easy...I hope you will hop on over to the LNS Challenge Blog and share a Fancy Fold.